What are transbasin diversions, and how do they help match water supply to demand? Do you know the history, infrastructure, costs and benefits of these unique water projects? Test yourself to find out! What court case cemented the Doctrine of Prior Appropriation in Colorado? What is the name of Colorado's first transbasin diversion? The Roberts Tunnel moves water from the ________ River to the South Platte Basin. 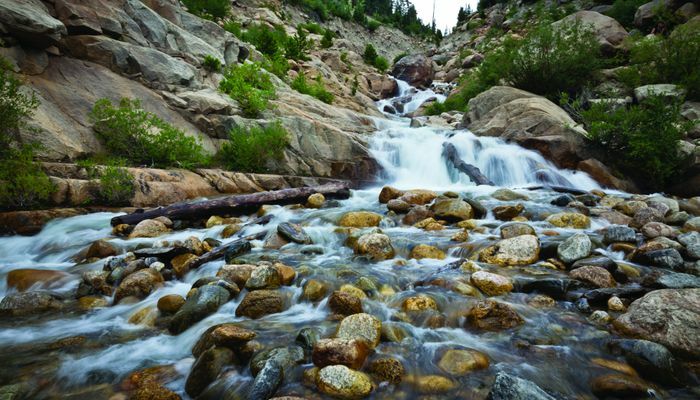 Around 80% of Colorado's water falls on the _____ slope of the divide. All of the West Slope's rivers are tributaries of the ___________ basin. What is the name of the water management agreement between Denver and 17 West Slope signatories? Transbasin diversions work by __________ the flow of water from its primary natural course and diverting it from one river basin to another. What Colorado doctrine allocates water on a first-come, first-served basis within the state? The _____________ allows for the organization of water conservancy districts anywhere in the state. The ______________ is in charge of protecting and developing the West Slope's water. Thank you for completing our quiz! Check out our Citizen's Guides to learn more! Wow, you sure do know a lot about Colorado's Transbasin Diversions! Thank you for completing our quiz! Check out our Citizen's Guides to learn more!